Following a poor early springer run last year I’m optimistic this season we are going to have a much better run. Last year we contended with poor water conditions, a slightly smaller run and colder than desirable temperatures. Fortunately, this year we are already seeing much better clarity, warmer water and early springers being caught. We are expecting a return of 220,000 springers this season, which is comparable to last year’s forecast. Meanwhile, those fish returned late last year, which gave us a poor early catch rate. The above-mentioned improved conditions are paving the way for a good early Columbia River fishery, which closes April 7. I believe we will meet or potentially exceed our quota if conditions remain the same. For the remainder of March most anglers will be focusing on the Lower Columbia River fishery from Bonneville down to the mouth, with a big emphasis below the Willamette River. As usual, our spring Chinook don’t run as large as their fall cousins. However, they make up for that with high quality meat, which sells for up to $50 per pound at the market. The average springer runs 12-16 pounds. Anglers have been fishing for these prized salmon since early February with minimum success until the past week or so. We are finally seeing multiple fish caught per day. As time goes on that will rapidly improve. If you are waiting for prime time you may want to keep an eye out on the fish count page. Prime time is likely to be the first week of April, but springers are being caught daily now. While some anglers do sit on anchor I prefer to troll for springers because you are able to cover more water. I troll with herring because I believe it to be more effective as you cover more water and get your bait in front of these finicky fish. It’s important to find yourself quality bait and stock up on it now because it does sell fast. By peak season many shops will be sold out or in short supply. I brine herring with Fire Brine in quart mason jars. My two favorite colors of brine are natural and chartreuse. If I’m fishing with five to six people I’ll also use Blue Fire Brine. 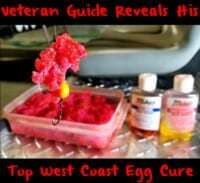 Given different clarities and light conditions certain colors of bait tend to be more successful than others. I find my best success on the chartreuse on cloudy and overcasts days. When it happens to get sunny or clear the natural does better. Blue is best (along with chartreuse) when you have darker conditions. 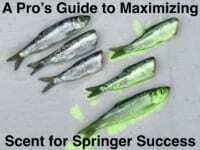 My biggest belief to springer success is cleanliness. The cooler temperature we have in the spring (versus the fall) keeps springers often more lethargic and not as willing to bite. This is why I feel it’s important to keep any foul scents off terminal gear and bait. The old tried and true Lemon Joy is great. However, I use Dawn and haven’t noticed any difference in success. Springers are known to run on the bottom of the river on the shallow sand flats along islands and near the bank. They are generally 15-30 feet deep. It’s important to consistently keep your baits down in the zone. Always check to make sure you are on bottom and following the contours of the river. I tend to find that throughout the day springers push out in into the deeper water given the amount of pressure they are seeing in certain areas or as the temperature warms up as the sun rises. On the Columbia I always troll downstream with the current using eight-inch Triangle flashers. That is something that helps you cover more water and get in front of more fish. The flasher can draw them in from further away. I tend to find my best bite on the low slack tide just into the incoming tide. ***Special Note: The springer limit in the Columbia River is one hatchery Chinook per day. All fish with an adipose fin intact must be released. Editor’s Note: Connor Taplin operates CT Sport Fishing. 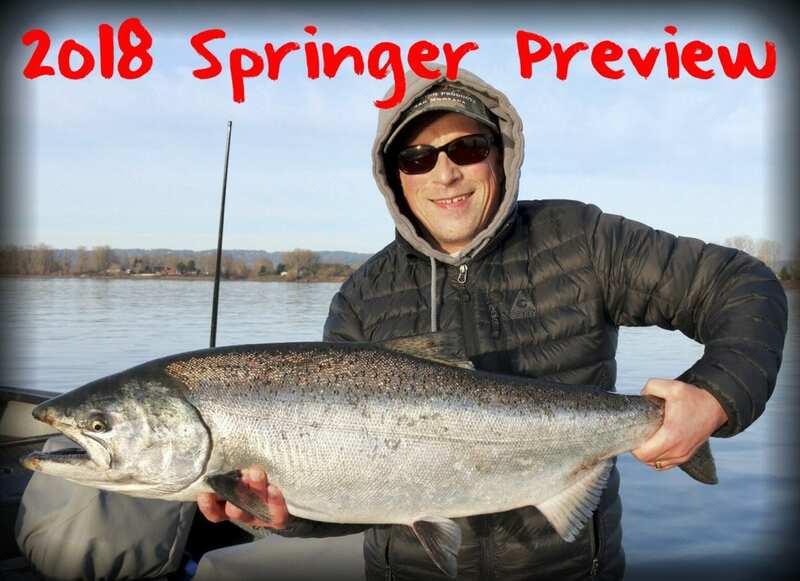 For more info on his Columbia River springer trips please visit https://www.facebook.com/CTSportFishing.